The availability of so many kitchen countertop options at the fingertips has made countertop selection task extremely confusing for homeowners. Since kitchen countertops ends up influencing many kitchen palettes, it is important to select something that looks beautiful, will hold up your kitchen activities and has a price tag that fits within your budget. 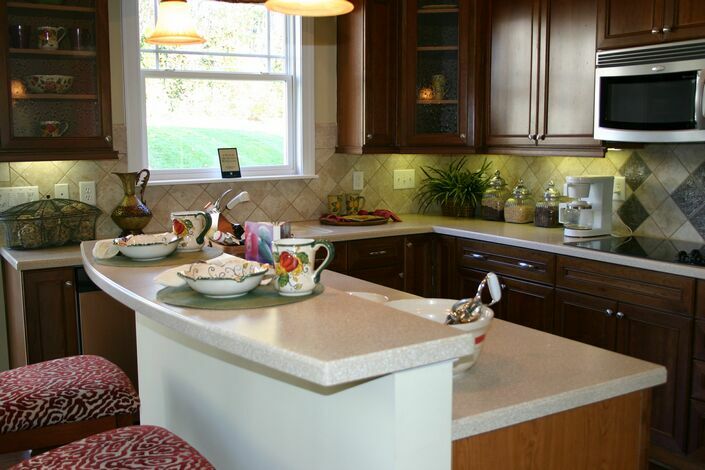 Countertops can make or break the appearance of your kitchen. Technology has introduced a wide variety of design, color, texture, and finish choices possible. While most of the modern kitchen countertops are durable, it is a good idea to select a countertop surface that always work with cutting boards, coffee spills, hot pots, and knifes. This is how you can enjoy your kitchen countertop to full extent. Soapstone is known for its resistance towards chemicals, stains and bacteria. It is a durable choice for kitchen countertop surface. Although it is expensive than other countertop surfaces, it worth every penny you spend on them. You can find variety of designs in soapstone countertop to compliment your kitchen décor. 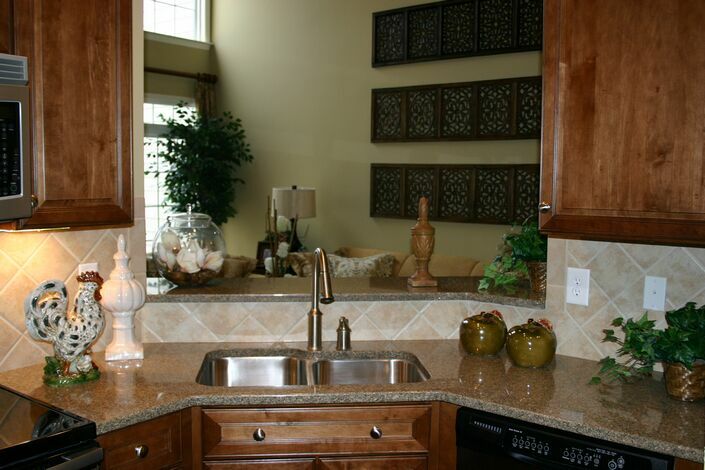 There are so many reasons behind the popularity of granite as a kitchen countertop material. This countertop material has been ruling in kitchens since a long time. Granite countertops have their own charm. They are available in plenty of colors and customizable finishes. Every granite slab has its own unique texture. Yes, copper is not a popular countertop material, but it is trending a lot these days. If you are willing to provide royal and rustic look to your kitchen, you should consider installing copper countertop in your kitchen. This surface is very easy to clean and maintain. However, copper countertops are not for perfectionists. It reacts to different substances and gets stained. This material is for customized homes. Engineered Quartz is one of the best kitchen countertop surfaces available on the market. You can find many design patterns in quartz kitchen countertop. Quartz countertops are eco-friendly choice as well. This countertop is suitable for all kinds of kitchens. 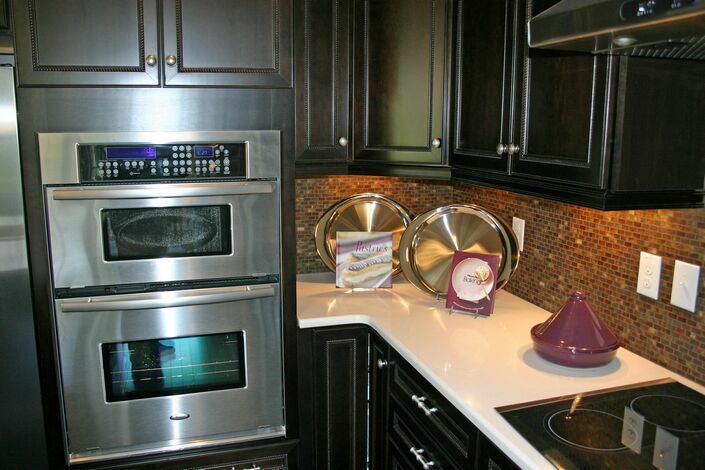 Engineered quartz is becoming first choice of people for kitchen countertops. The combination of quartz and resin create scintillating look which grabs everyone’s attention towards it. The primary reason behind the increasing popularity of quartz countertops are their in-built luster and perfectly smooth surface. This material also provides greater strength and durability. If you are thinking about kitchen renovation or building new kitchen, then Quartz countertop can be the best option for you. Your kitchen will get entirely new touch and feel which can make your neighbors envy of your kitchen décor. The thing which highlights presence of quartz countertop among other kitchen countertops is the presence of pigments in it. These pigments not only act like beautiful texture but also contribute in maintenance, as the presence of pigments does not make countertop look dirty, even if it is dirty! Isn’t cool? Quartz countertops are available in various color, texture, shape and size. It means you can obtain quartz kitchen countertop with a sparkling finish according to your needs and desire. Such countertops are not made from any natural stone, so it is possible to get various design features in them. Whether you want pink, green, gray or black countertop, you can get it according to the interior of your kitchen. They are fabricated to look like granite countertops, but in terms of shine and luster, they are far better than granite one. Quartz is specially engineered to produce countertops which are hard, durable, and shiny and which provides long lasting service. 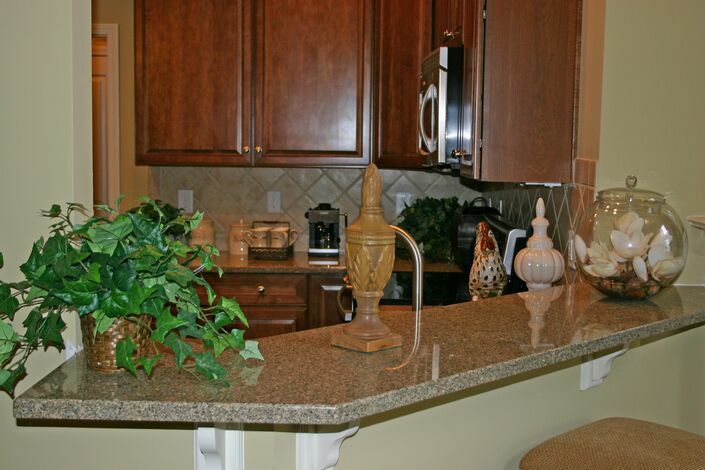 These countertops are heavier than granite countertops as they are made up of non-porous material. These qualities of quartz countertops are increasing their demands in the market. Quartz countertops do not require much maintenance and whatever maintenance required, is really very easy. Many homeowners (and hotel owners) prefer quartz countertops because they are heat resistant. Thus, it not only prevents accidental fire, but also the ugly burnt marks on countertops. This countertop is also considered as scratch proof and stain resistant. This means, one does not have to be very much concise about countertop while working in the kitchen.